This issue features essays about Lui Kuling’s animal paintings in Republican-era Tianjin, a narrative reading of Mi Youren’s and Sima Huai’s joint poetry illustrations, the Horyuji clay sutra tableaux, and the use of contemporaneity in the Bharat Bhavan’s museum exhibition practices. Contributors include Susan Bush, Lisa Claypool, Katherine Hacker, Yoshiaki Shimizu, Jerome Silbergeld, and Akiko Walley. 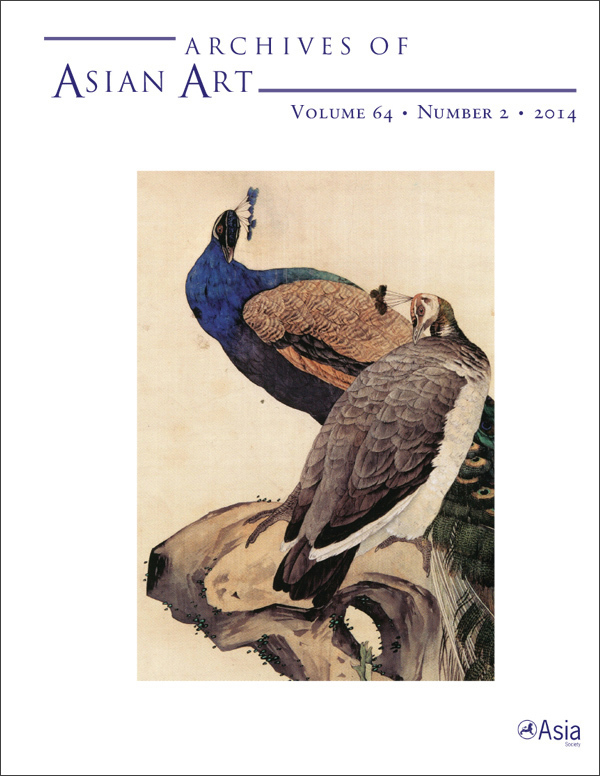 View the table of contents for Archives of Asian Art 64:2, at the journal's online site.